You’ve updated your resume, have well-written cover letters and applied to numerous positions. How are you doing with your networking? It’s an old maxim that who you know is often a stepping stone to success. That’s still very true in the job market, even in a time of Applicant Tracking Systems and online recruitment sites. Your ability to get a referral could be just the thing that puts you ahead of your competition. Networking can occur in many forms. 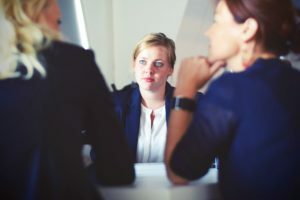 These range from connecting with long-time or new contacts on LinkedIn/other social media to approaching classmates at a school reunion to reaching out to other attendees at an event or even volunteering and seeking informational interviews. Your comfort level will determine how far you’re willing to venture. A recent post by Career Impressions on LinkedIn recommends beginning with friends, family, colleagues, professional contacts, professional forum members, and alumni. 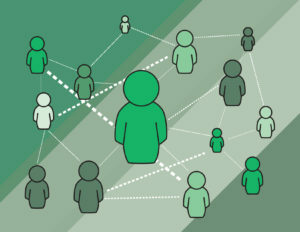 “Your network is comprised of all the people that you know and also all the people that THEY know. Just because you don’t know someone personally at a company of interest doesn’t mean you are out of luck. Try to find a 2nd or 3rd degree connection to them and ask to be introduced. Keep in mind that good networking requires relationship building and relationship management. Staff at The Work Place in Grande Prairie can guide eligible unemployed or underemployed clients (visit www.gpworkplace.ca for details) on how to network effectively. 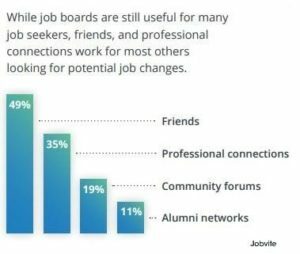 A study by Jobvite in the graphic below shares that friends and professional connections top the list of job resources. So if you are job searching – or thinking about changing jobs – don’t forget about asking your friends! Whatever form(s) of networking you choose when job searching will be a big plus over simply casting your net in the marketplace and hoping you’ll snare that dream job. If networking isn’t part of your normal routine, start out on some familiar ground, but don’t be afraid to try one of the many tactics in the resources we’ve provided. 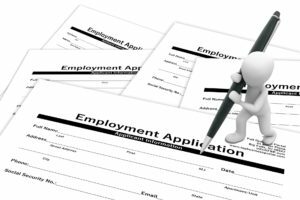 Job seekers will find conflicting advice about creating resumes, whether it’s about their length, how they should be formatted, if photos should be included and, as we highlighted in an earlier blog, if paper resumes are actually still needed. While there are no hard and fast rules regarding resumes, everyone will agree the goal is to get yours into the hiring manager’s pile for interviews. Consider how you can maximize your information to make sure employers will read on after the initial scan. Jessica Hernandez, executive resume writer in Jacksonville Florida (GreatResumesFast.com) shared the chart below on LinkedIn last month. It provides some sound guidance to follow in preparing your resume. Staff at The Work Place in Grande Prairie can guide eligible unemployed or underemployed clients (visit www.gpworkplace.ca for details) on successful techniques for writing resumes. 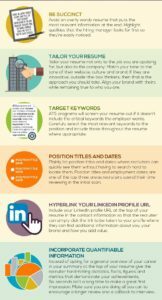 Following the six tips are easy ways to help you improve the impact of your resume. Ultimately the key is to have a professional presentation with key details that address the prospective employer’s needs with information that is easy to locate. Is That Dream Job Calling? Have you ever decided against applying for an appealing job because you didn’t meet all the qualifications? If a position has your name written all over it – except for a bullet point or two in an employment ad – don’t sell yourself short and potentially miss out on your dream job. When hiring managers develop a job description, they are envisioning the absolute ideal person to carry out a set of duties. Not everything in the document will be a must have. Employers recognize that everyone has a different skill set and educational background and not every recruitment process will produce 100 per cent of the qualifications desired. Without knowing who else applied for the vacancy and their qualifications, you have no idea how you stack up. No doubt others also didn’t apply thinking they didn’t meet all the criteria. Your job as a candidate is to promote what you can do and be able to back these capabilities up with solid examples – not to focus on where you come up short in relation to a list of job duties. Once you build your credibility into your resume and cover letter and get an interview, factors like your attitude, flexibility, willingness to learn, team work and other where you excel will stand out. All things being equal, employers want to be sure they are hiring someone who is the right fit for their team and culture. Your profile may lack in a couple of areas that can be addressed in a training opportunity. On the other hand, you can wow the company with some ideas on how your experience can make a difference in their workplace. Staff at The Work Place in Grande Prairie can guide eligible unemployed or underemployed clients (visit www.gpworkplace.ca for details) on how to emphasize strengths and capabilities when applying for jobs. We have provided links below to four articles with further insight on how you should pursue opportunities, even if you don’t have all the qualifications. You enjoyed your previous job but it was time to find a new career opportunity. You scoured the employment market, applied for several great openings and found a job that had your name written all over it. After going through a rigorous competition, you’re offered a position that provides you with increased responsibility, higher pay and benefits, and opportunities to advance in the firm. Your colleagues give you a huge send off after you announced you’ve accepted the new job and wish you well in your future endeavours. You’ve got it made! Within a few months, you realize this dream job had turned into a nightmare. Despite your best research efforts, this position is just not a fit. The culture is not what you envisioned. What now? Changing jobs can be compared to starting a new relationship. Sometimes they blossom into forever situations. Other times, you’re left wondering what you got yourself into and recognize you need to take steps to move on. There are also occasions where the employer determines you don’t fit into their plans and you are left on the outside looking in. We have provided links to two articles below. One examines the situation where you realize a career move has gone sideways and what steps to take. The other provides some insight into how you can recover from termination. Staff at The Work Place in Grande Prairie can guide eligible unemployed or underemployed clients (visit www.gpworkplace.ca for details) on how to recover from a bad career move. 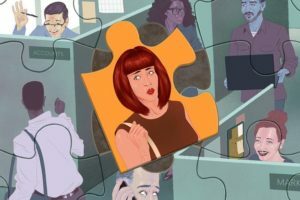 If you’ve determined your new job is like a poor relationship, you need to get your career back on track as proactively and professionally as possible. Don’t let your career or mental health suffer by struggling in a position that’s not right for you. But remember, it’s easier to find another job if you already have one, so be very cautious about simply up and leaving. Whether you’re exploring how to make the best of a poor situation or were not given a chance to explore your options, remind yourself that your abilities and skills have brought you to your current place in your career. As difficult as it may seem, you can dust yourself off and find a new and more suitable opportunity! Stellar job with applications. Check. There’s an old saying that you don’t get a second chance to make a great first impression. 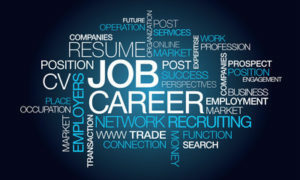 When it comes to the job search process, you could readily lose an opportunity to advance to an offer of employment by not putting your best foot forward. Staff at The Work Place in Grande Prairie can guide eligible unemployed or underemployed clients (visit www.gpworkplace.ca for details) on how to shine in their quest to find a job. 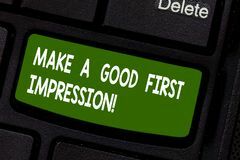 How can you make a better first impression – especially when job searching? ✔ Confidence and self-empowerment can all start with your diligence to your attire and personal grooming. It’s easy when you are job searching to wear comfortable clothes (yoga pants) or adopt the no-shave mentality – but personal presentation is important for both mood and personal branding. ✔ Put your own needs aside and show a genuine interest in the other person. At the risk of sounding like a broken record, if you have not read the classic book, “How to Win Friends and Influence People” by Dale Carnegie, it is an absolute must read. Brand Strategist Kevin D Turner added: “In this digital age, that first impression might be what decision makers see, feel and hear about you on the Internet. Job seekers receive a lot of advice on how to produce killer resumes, draft stellar cover letters, master the online application process, be a networking ninja, and rock interviews. There’s so much information to consume. Sometimes it is important to step back and take stock. The video we’ve incorporated in this blog encourages people in the job market to celebrate victories. It also provides some great strategies you can use if they’re not already part of your toolkit. 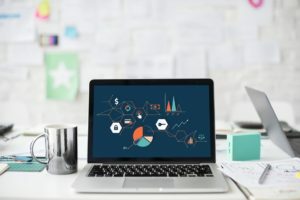 The bottom line is to be targeted, prepared, purposeful, and to continually take steps that will contribute to your job search success – there is always more to do. 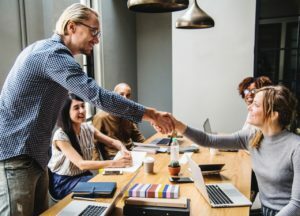 Even if you are happily employed, there are ways you can prepare for a future promotion within your company or an advancement to another organization. Staff at The Work Place in Grande Prairie can guide eligible unemployed or underemployed clients (visit www.gpworkplace.ca for details) on how to excel in all steps of the job search process. The presenter in the video, Kamara Toffolo, is an Ottawa-based resume writer, LinkedIn consultant, job search strategist and speaker. She creates videos directed at job seekers and shares them every Tuesday on LinkedIn. Consider following her or subscribing to her videos. Getting that dream job is what everyone strives to accomplish. Learning how to manage money is also vital to enjoying a successful career and home life. The Work Place, in partnership with the Grande Prairie Council For Lifelong Learning, is providing Transition to Employment and Job Placement Services clients the opportunity to receive a certificate for participation in a series of sessions on Financial Literacy, starting Monday, March 4 at 9:15 a.m.
Instructor Shannon Carson leads the five-part series. Often, we think of assets as tangible and financial resources. In the Asset portion of the series, participants explore their financial, social, human, physical and personal assets. Participants will learn to identify needs and wants, how to track expenses, develop an income-based budget, and set realistic short- and long-term goals. The focus of these sessions is building an awareness about banking options, using bank services effectively and safely, and accessing bank resources easily. In these sessions, students will become more aware of the purpose, advantages and disadvantages of credit, how to use credit wisely and learn about accessing consumer credit wisely. Participants will gain a heightened awareness of advertising and how to be a good consumer. 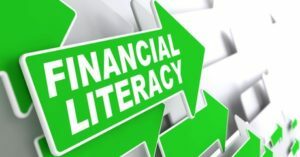 If you have questions on the Financial Literacy series, please call 780-539-5477. Staff at The Work Place in Grande Prairie can guide eligible unemployed or underemployed clients (visit www.gpworkplace.ca for details) on how to access others useful workshops and courses.